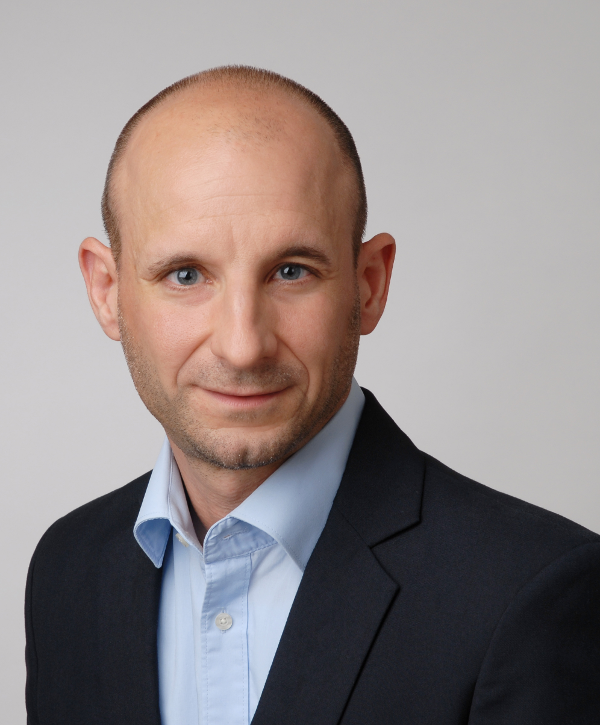 Elmar is Managing Director of NETRONIC - The Gantt Solutions Company. He decided to join the company mid of 2015. Since then, he is driven to strengthen the companies' solution focus. just plan it is his most recent "weapon" in his continued fight against a kind of misuse of Microsoft Excel as scheduling tool. Testing a new software can be a very lavish procedure. It normally comes along with extensive efforts to get familiar with features and functionality to say nothing of getting a full picture if the own requests are met or not. To counteract against this and to ensure that anyone's trial of just plan it will be an enduring succes we designed a special ebook to help you making your first steps with our visual scheduling software. With the recently published new version of our just plan it software we added a new feature which might look rather minor at first glance, and which is the no. 1 candidate for the most undervalued new functionality. This is the "color as" capability which allows you manually changing the color of a task bar depending if the task is finished (black) or in progress (green). However, for us this is yet the first step into a new world, in which we can see just plan it perspectively grow: namely a world in which job shop planning and execution work hand in hand. With this first step we also want to provide users with some best practices how to best achieve an initial seamless job shop planning and execution, and this this what this blog post is about (plus an announcement what we plan building for our ENTERPRISE customers). Technology is continually transforming the way we live and work. 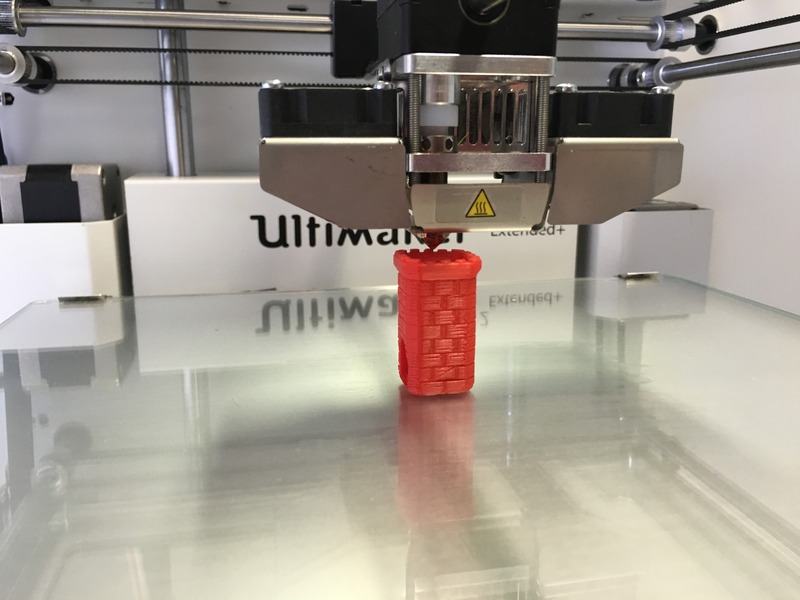 Since the foundational concepts of additive manufacturing (AM) were developed approximately thirty years ago, this innovative concept has grown, and is rapidly revolutionizing the production industry. Unimagined processes have become a reality, and companies in aerospace, health, and automotive industries are benefiting from the possibilities. From rapid prototyping to laser engraved net shaping and laminated object manufacturing, this highly specific form of production presents a variety of incredible opportunities. AM is essentially a very unique type of machine shop production. As such, it forms an integral part of the supply chain, and faces many of the same scheduling challenges associated with traditional machine shop production. Because it allows for unlimited customization and weight-strength optimization, it addresses two important aspects particularly associated with small batch fabrication; and more and more companies are investing in the required machinery. However, trying to maintain your additive manufacturing schedule using manual spreadsheets is almost an operation in futility. Small and mid-size manufacturing companies are more and more coming to realize that their operative production scheduling can no longer be managed by self-developed “systems” based on Microsoft Excel but that an adequate software tool for efficient time and resource planning is called for. In this context, graphic planning boards have generally proved successful. 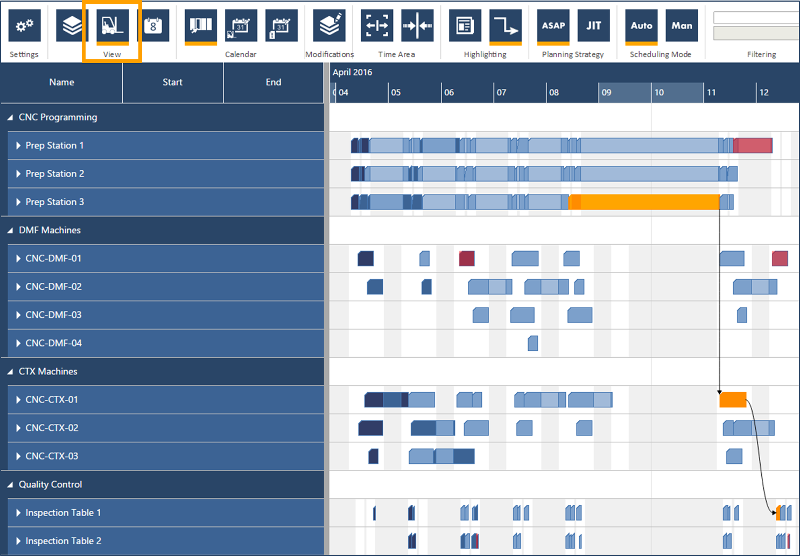 The features most solutions have in common are visualizing the plan in a Gantt chart, supporting different views such as order view and machine view, and considering the operations’ logical relations. Moreover, common solutions enable managing orders and resources by dialogs and/or offering interfaces to the applied ERP system. There is, however, a vital difference between the solutions, especially from the standpoint of the planner, consisting in whether the planning board is based on manual scheduling or whether it comprises an algorithm for automatizing the production scheduling. 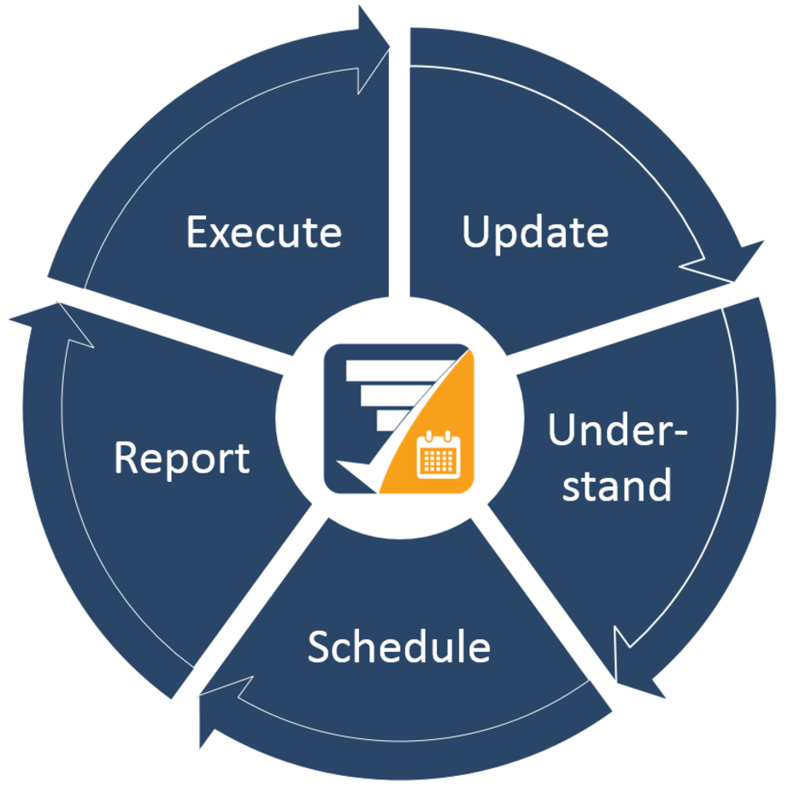 Starting from the above mentioned similarities, the significant differences between manual and automatic scheduling within graphical planning boards is discussed below. Microsoft Excel is certainly one of the most used standard software products of today - if not the most used. The plethora of both user types and application areas is very remarkable: Companies of any size use the application in almost any functional area. Just as striking: The application, designed as spreadsheet program, is very often used for rather untypical purposes. 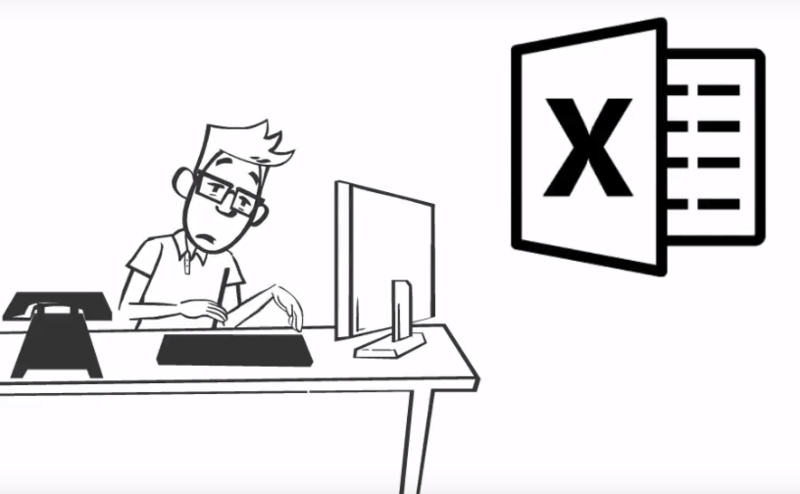 Everybody knows this “Excel Monster Application”, which is designed to deliver an output which the respective company pretty much depends on, but which basically no longer can be handled appropriately. 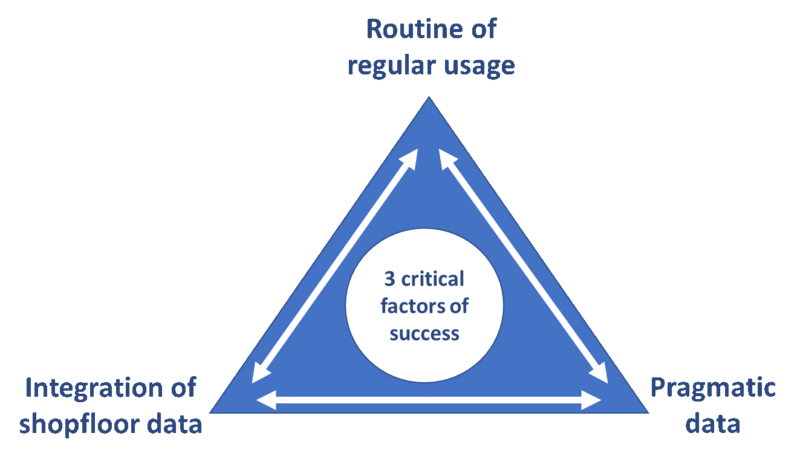 This phenomenon particularly can get observed when it comes to the operational production scheduling within small to mid-size manufacturing companies. Hence, this blog post discusses the possibilities and limitations of an operational production scheduling with Excel.